Resistance is a product of will times means, Carl von Clausewitz postulated in his treatise On War. 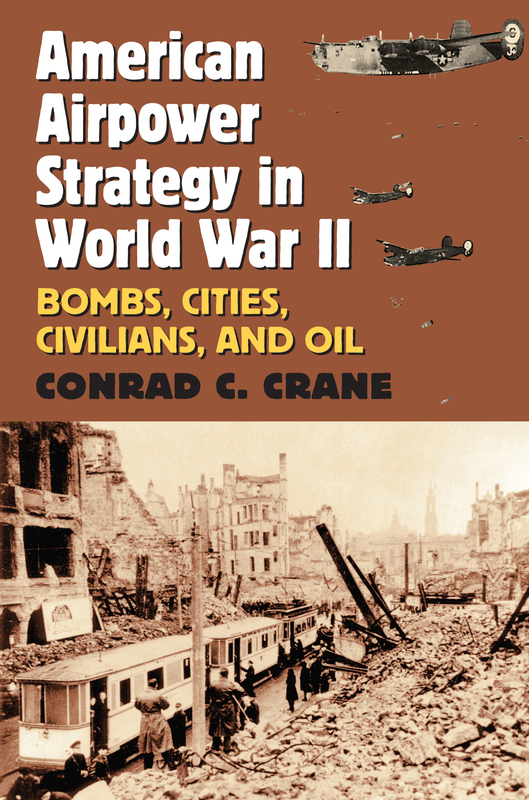 In his 1993 Bombs, Cities, and Civilians, which the American Historical Review judged “must reading for anyone interested in the subject of air warfare,” Conrad C. Crane focused on the moral dimension of American air strategy in World War II—specifically, the Allied effort to break the enemy’s will through targeting civilians. With decades of research and reflection, and a wealth of new material at his command, Crane returns to the subject of America’s WWII airpower strategy to offer an analysis fully engaged with the “means” side of Clausewitz’s equation: the design and impact of strategic bombing of the enemy’s infrastructure and thus its capacity to fight. A marked advance in our understanding of the use of airpower in war in general and the Second World War in particular, Crane’s work shows how, despite an undeniable lack of concern about civilian casualties in Germany and Japan late in the war, American strategic bombing in WWII consistently focused on destroying the enemy’s war-making capacity instead of its collapsing will. Further, Crane persuasively argues that in the limited wars since then, separating such targets has become increasingly more difficult, and all air campaigns against states have subsequently escalated to accept greater risks for civilians. American Airpower Strategy in World War II also provides an expanded close look at the use of airpower in the last three months of the strategic air war against Germany, when so many bombing missions relied upon radar aids, as well as the first direct comparison of 8th and 15th Air Force bombing campaigns in Europe. The result is the most coherent and concise analysis of the application and legacy of Allied strategic airpower in WWII—and a work that will inform all future practical and theoretical consideration of the use, and the role, of airpower in war. Conrad C. Crane is chief historical services, US Army Heritage and Education Center, US Army War College. He is the author of American Airpower Strategy in Korea, 1950–1953, also from Kansas. He is the recipient of the Samuel Eliot Morison Prize for lifetime contributions to the field of military history.